Nobody cares for eyes more than Pearle. It’s a promise the iconic brand strives to deliver to both its patients and franchisees. Independent doctors and multi-unit investors are finding a home in Pearle Vision, a leader in the optical industry and one of the most recognizable premium brands in North America. With a proven doctor-centered business model, best-in-class training and gold standard support, there has never been a better time to be a Pearle Vision franchisee. Pearle Vision makes doing business easy. Turnkey systems are designed to simplify marketing, merchandising, and inventory management of a retail optical store. The operating model, eyecon, manages up to 100 percent of the frame board capacity and automatically replenishes products based on what is selling well in the marketplace and at individual locations. Frames, lenses, and contact lenses are sourced centrally to provide additional savings, higher margins, and back-end efficiencies. The integrated platform, which also supports patient communications, billing, and claims, allows franchisees to focus less on paperwork and more on what they do best: delivering quality care to their patients. 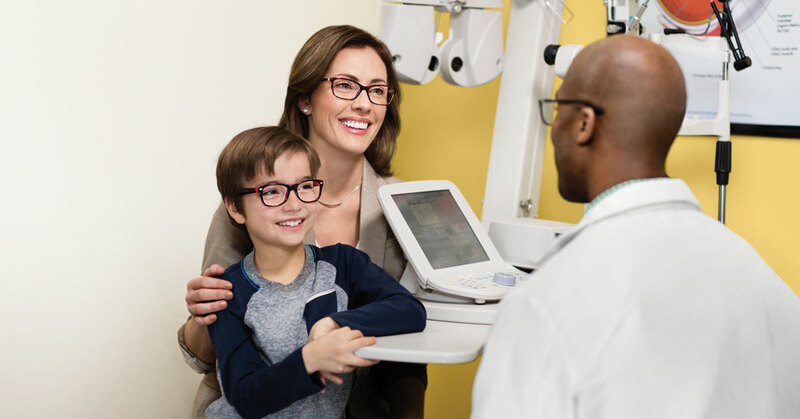 Franchisees are backed by the power of the Pearle Vision brand every step of the way – whether you are an independent doctor or a multi-unit operator. Pre-opening support with site selection, store design, construction, and visual merchandising ensure franchisees are set up for success and patients are cared for in the best possible way from day one. Each owner receives extensive training and the help of a dedicated business consultant to coach, counsel, and keep franchisees on track to achieve their goals, while marketing managers in the field provide a helping hand to support local event planning and social media strategies. With more than 500 EyeCare Centers located throughout the United States, Canada, and Puerto Rico, Pearle Vision is on a mission to provide more patients, and more communities, with genuine eye care. Building on the momentum of a robust year of growth, Pearle Vision is positioned to open franchises in cities across Pennsylvania, Illinois, Florida, and Ohio, with a continued aggressive push into Canada. To learn more about the Pearle Vision franchise opportunity, visit www.ownapearlevision.com.